Sponsored Post - Are you ready to dive under the ice and experience a whole new world of diving? Ice diving is one of the most adventurous types of diving out there and is a great way to try something completely different. It is challenging, takes extra preparation, and is different from most recreational dive types. Ice diving offers the opportunity to dive in winter when other types of diving may not possible and experience unique underwater environments and marine life few people ever get to see. There is nothing quite like the peace of being under the ice, surrounded by bright blue water and ice formations. It is an experience not to be missed and is truly rewarding. 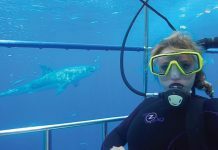 Choosing where to go ice diving depends on personal preference, but one of the best ways to go ice diving is during a liveaboard safari to the Arctic or Antarctica. Both destinations are world-class places to experience exceptional wildlife watching and different types of polar diving. Antarctica liveaboard diving is a great way to explore one of the world’s most remote areas and offers ice diving around the Antarctic Peninsula and the Weddell Sea. The Ice Class M/V Plancius and Ortelius offer liveaboard diving trips that include zodiac diving, shore diving, wall diving, and ice diving in Antarctica. Their varied safaris explore iconic destinations such as the Falkland Islands, South Shetland Islands and Antarctic Peninsula. South Georgia and the Sandwich Islands, tucked away in the south Atlantic Ocean, is a remote destination that is rarely visited by tourists. South Georgia liveaboard diving offers the opportunity to experience ice diving in areas that have never been dived before by other people. Spitsbergen liveaboard diving allows divers to enjoy the varied dive sites of the Arctic, by exploring the remote islands of Norway’s Svalbard archipelago. The best dive sites of Spitsbergen are only accessible by liveaboard and safaris offer ice diving, boat-based diving and even wreck diving. All whilst enjoying the incredibly diverse wildlife of the region. The M/V Plancius is an 89m expedition vessel that offers Arctic liveaboard diving. A Scoresby Sund liveaboard provides the chance to dive the world’s largest fjord system, located in Greenland. This system of fjords covers an area of about 38,000 square kilometers and reaches depths of up to 1,450 meters. It is a unique destination and liveaboards visiting the area offer ice diving and boat-based diving whilst exploring the landscapes and wildlife of the fjord. The M/V Plancius offers trips to Scoresby Sund during certain Arctic itineraries. What Marine Life Can Be Seen When Ice Diving? A better question would be to ask what divers can’t see when ice diving. The variety and abundance of wildlife in the Arctic and Antarctica is staggering and offers something for everyone to enjoy. 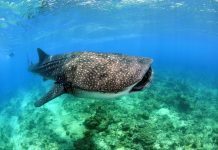 There are numerous whale species to spot and divers have the chance to see sea lions and possibly even swim with leopard seals, fur seals and penguins in Antarctica. You can swim with sea lions in Spitsbergen and see bearded seals, walruses, reindeers, Arctic foxes, diverse birdlife and whales. Scorsby Sund in Greenland has Arctic fish such as char, Greenland halibut, wolf fish, sea scorpions, plus the Greenland shark. The fjord is home to a variety of seals, plus walrus, narwhals, polar bears, and beluga whales can also be seen. Who Can Try Ice Diving? Ice diving is a specialised type of diving and has certain prerequisites. Those wishing to dive during an Arctic or Antarctica liveaboard diving safari, including trying ice diving, need to be PADI Advanced Open Water divers (or equivalent) with a minimum of 30 logged dives. They also need to be experienced in cold water diving and dry suit diving. How Cold Is the Water When Ice Diving? The water temperature when diving in Antarctica is typically 0°C (32 °F). The Arctic water temperature range is 5°C (41 °F) to 0°C (32 °F), whereas Scoresby Sund drops to -1°C (30.2°F). How Do Ice Divers Stay Warm? Put simply, by using the right equipment and exposure protection before, during, and after ice diving. 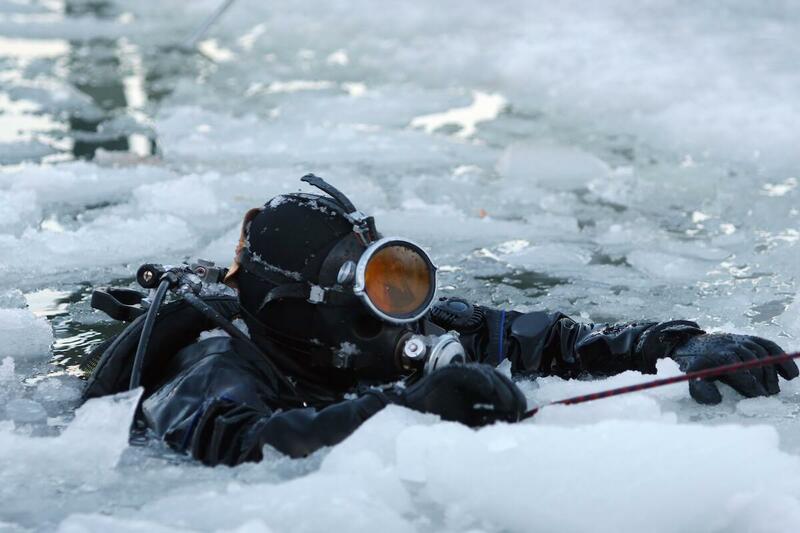 Divers should not feel cold during ice dives if they’re using the correct equipment and following ice diving safety procedures. Peak season is November to March, with December and January being popular months because of warmer temperatures and sunlight. Those visiting in December and January can enjoy watching young penguins and seals being raised, whereas whale fans should visit during February or March. The water visibility is at its best at the end of the diving season. Diving is available during November to March. The best time to experience the Arctic is from April to September, with peak tourism season occurring in June to August. April is a great month to enjoy fresh snowfall and the chance to see humpback whales. Narwhals, sea birds and caribou are more commonly seen in later months when the icebergs begin to melt. Polar bear sightings are more common close to shore in July. The summer months, such as July and August, offer the best conditions for diving in the Arctic. 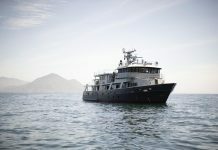 LiveAboard.com is the easiest place online to book liveaboard diving holidays around the world.